Have you ever made a homemade lava lamp? 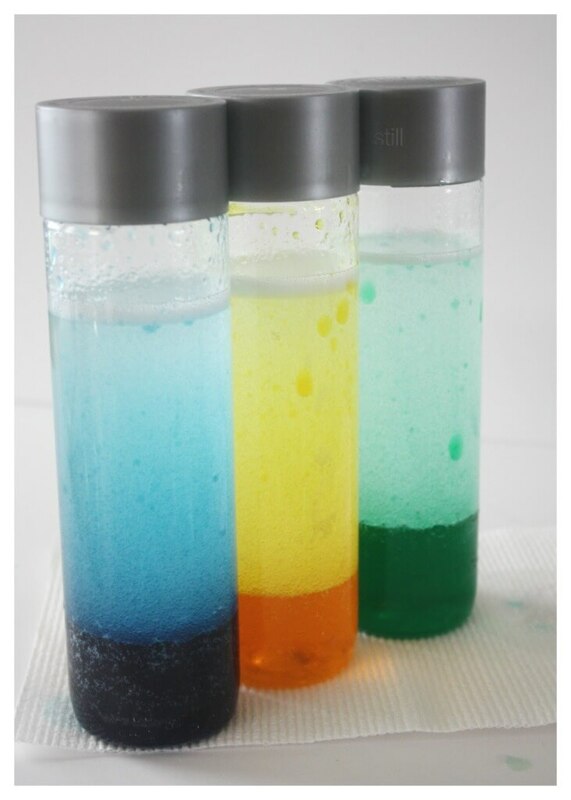 Simple and classic science experiments for young kids! We love to explore science with common items found around the house. 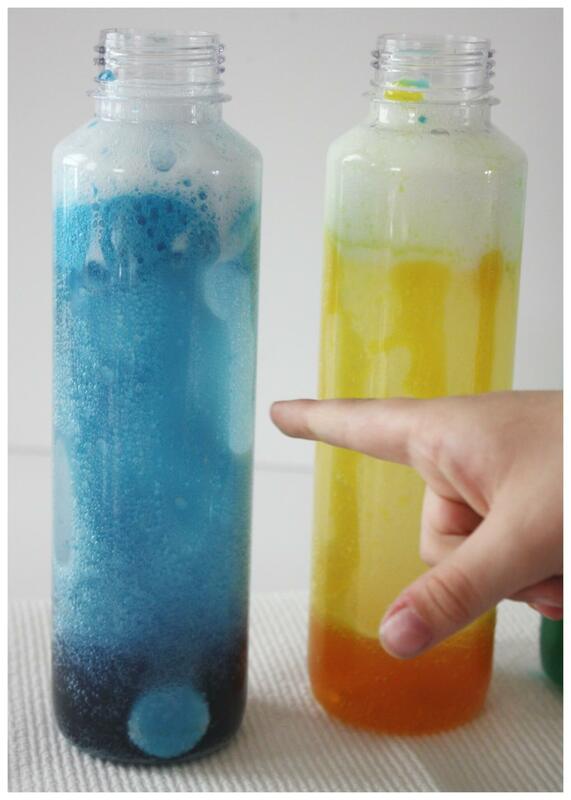 Homemade lava lamps and density experiments are two of our favorite science activities. 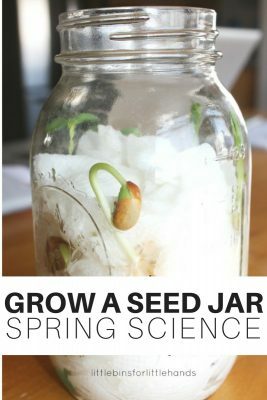 Combine the two fun science concepts for a cool experiment the kids will love to do over and over again. 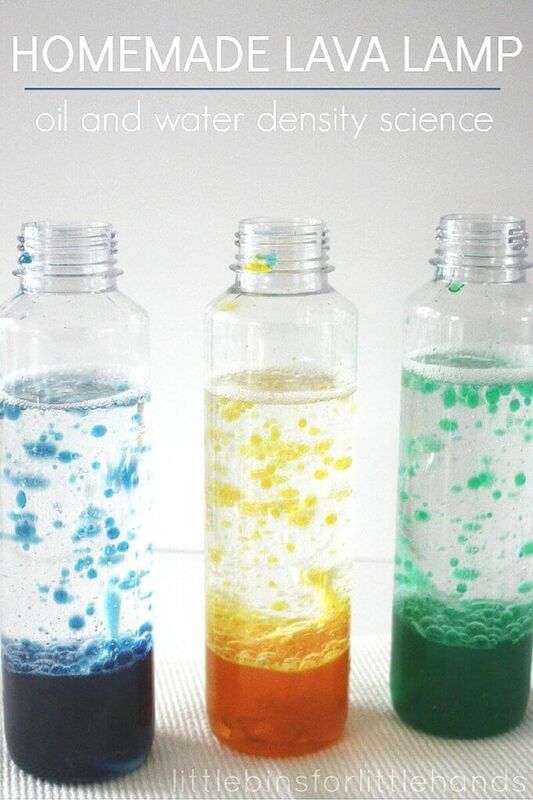 Get ready to add this simple homemade lava lamp activity to your science lesson plans this season. 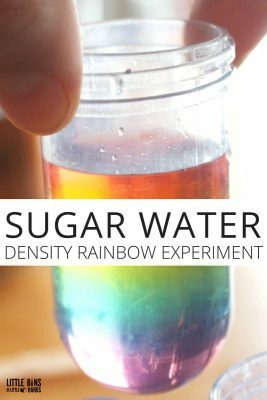 If you want to explore liquid density and chemical reactions, this is the science activity to try While you’re at it, make sure to check out these other fun science experiments and activities. Our science activities and experiments are designed with you, the parent or teacher, in mind! Easy to set up, quick to do, most activities will take only 15 to 30 minutes to complete and are heaps of fun! Plus, our supplies lists usually contain only free or cheap materials you can source from home! 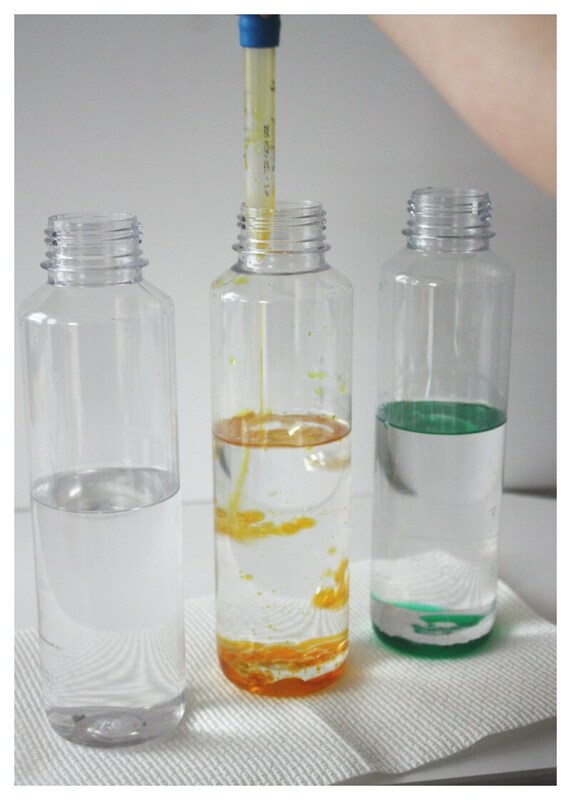 To get started with your homemade lava lamp, you will need 4 easy ingredients. I love these Voss plastic water bottles. Although they are a bit pricey, I reuse them over and over again. 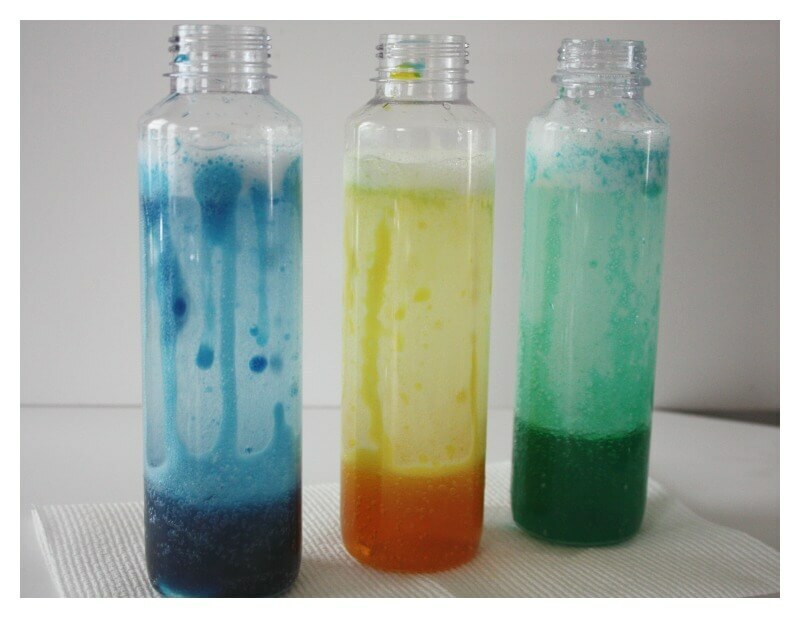 Our Earth Day Discovery Bottles, Glitter Calm Down Bottles, and science discovery bottles are made from the same bottles purchased last year! Make your homemade lava lamp in minutes! Mix food coloring and water in small containers. Fill bottles with baby oil about 1/2 to 2/3 full. 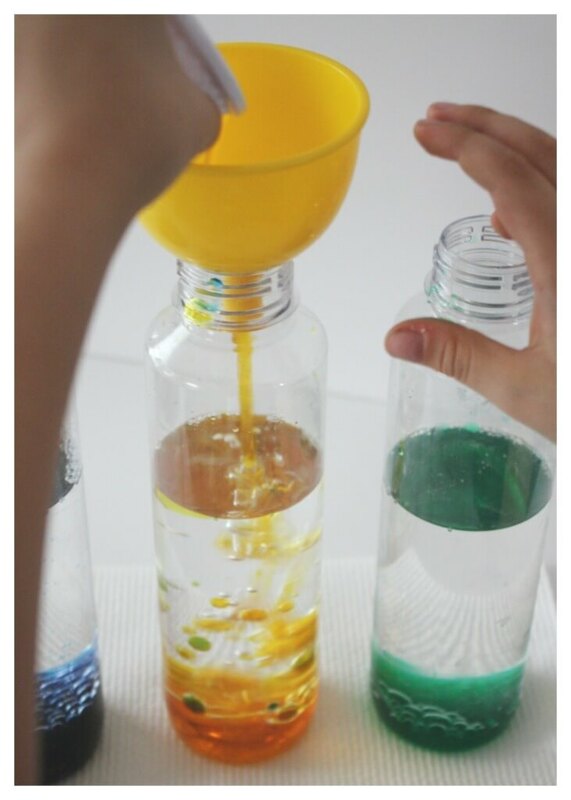 Use an eye dropper to check out how the colored waterfalls through the oil without mixing. 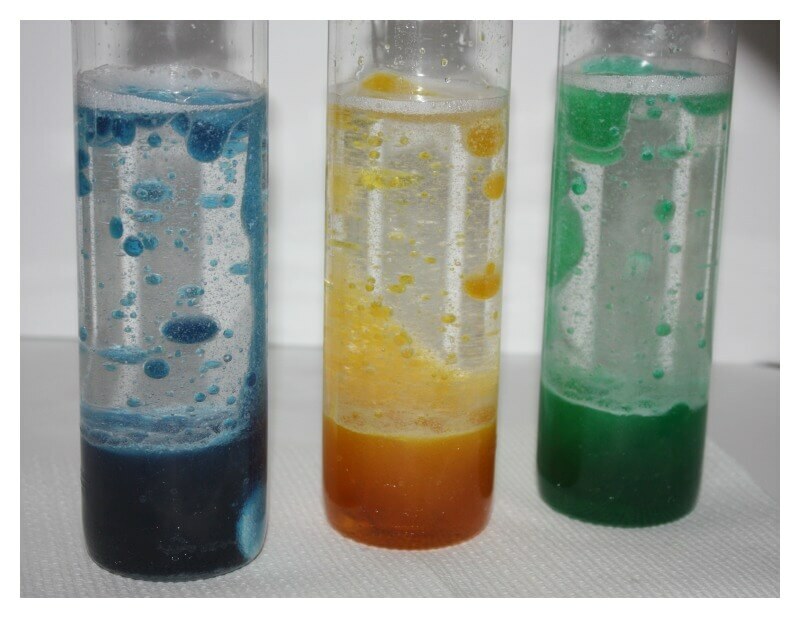 Once finished testing out the eyedropper and colored water, we poured the rest of the colored water into each bottle. The safest way was to grab a funnel. We let the oil and water settle before continuing with our lava lamp experiment. Add an Alka Seltzer tablet to each one. Watch the cool chemical reaction. When the lava lamp chemical reaction slows down, add another tablet to your homemade lava lamp. What do you think will happen? How is the colored water moving up through the oil? Ask plenty of questions to get your kids thinking! It might erupt out of the bottle! Be prepared for a little mess, but this lava lamp is so much fun. What else can you do with those aka seltzer tablets? 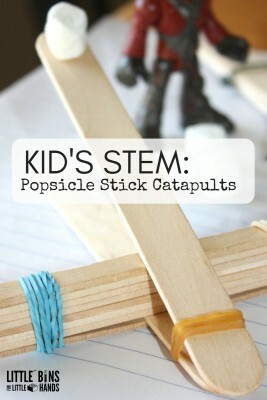 Make pop rockets! I love that we can combine two interesting science experiments together for one visually appealing activity. First the oil and water density experiment shows how two liquids have different weights. Oil is lighter than water. It floats on top of the water. The beads of colored water slowly move through the oil and sink because they are heavier. For the lava lamp action, when water and alka seltzer combine they form carbon dioxide. The gas bubbles rise through the oil carrying the colored water. When the chemical reaction slows, the colored water falls back down. You can add more alka seltzer. Or you can have fun shaking the bottles and watching the two liquids separate again. 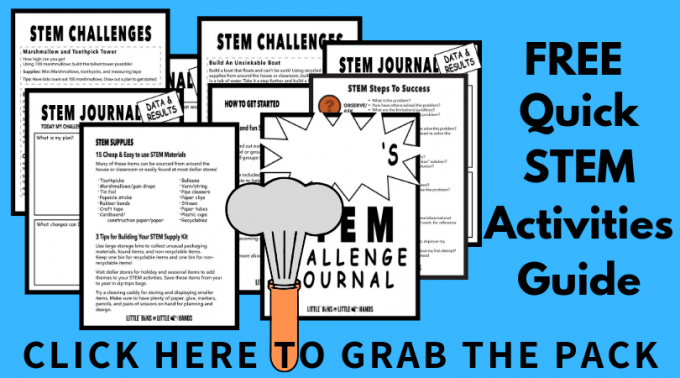 Click on the photos below for more awesome ways to explore science and STEM with your kids! Amazing. I’m a counselor for children and adolescents of all different functional levels and I love incorporating art into therapy. Thank you for this idea. It is so cool! Your welcome! So glad that this can be useful to you. My son loves anything that will erupt too! Baby oil works the best for this experiment. 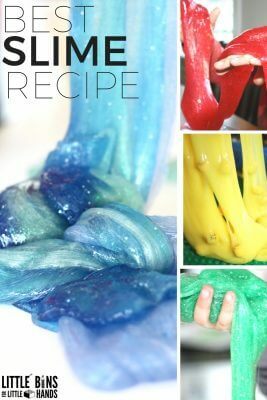 It is clear, so it allows for the food coloring to really stand out. Baby oil is great for this experiment but regular oil works well too in case you don’t have any on hand. 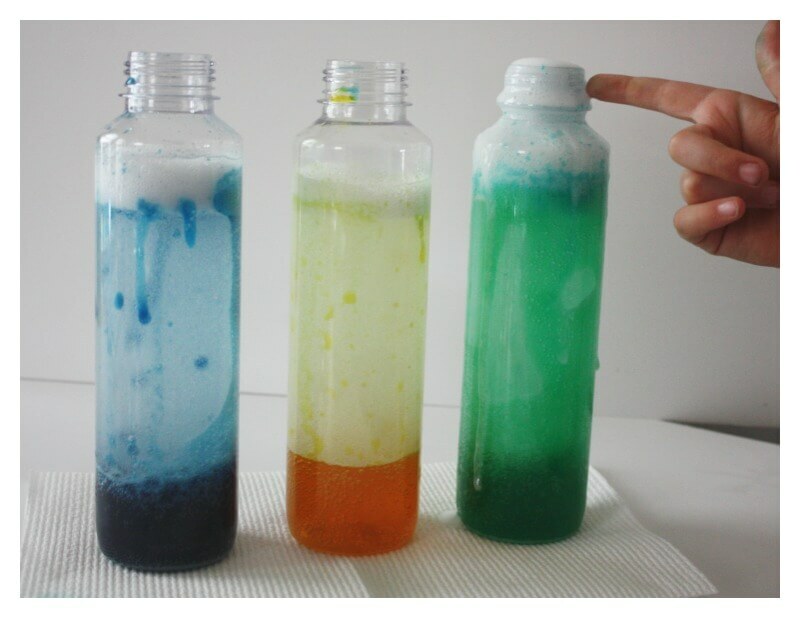 This science experiment, this is what I’m going to to do for a science fair project!! !